Mr. Ma Yun Advice to Young People about Entrepreneurship - Motivate Amaze Be GREAT: The Motivation and Inspiration for Self-Improvement you need! The founder and chairman of Alibaba Group, Mr. Ma Yun aka Jack Ma, gave the ultimate success advice to young people who want to be entrepreneurs, in a TV show participation. Success in business it's not an easy thing, you have to work really hard and focus on the necessary tasks you need to do. But don't forget, you need to know what to do. It's very important to have the necessary guidance from someone wiser, someone who has achieved the kind of success you want to achieve. 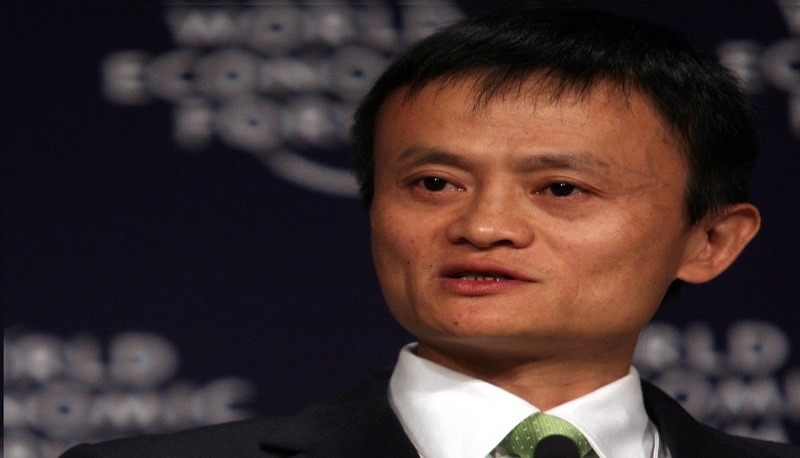 Jack Ma's achievements in life, by bridging the gap between the new internet world and China in the late 90s, and becoming successful with his online ventures, is one of those examples you can follow. "Be a good student, wait to entrepreneur, just to learn some experience." Our take: Take the time to learn, don't rush things. It's too early to engage in entrepreneurship, most people lacks the essential knowledge. Get to know the business, get to know the experts, become wiser and wiser with time. "Follow somebody. Go to a small company. Normally, in a big company, it is good to learn processing; you are part of a big machine. So before 30 years old, it’s not which company you go to, it’s which boss you follow. That's very important. A good boss teaches you differently." Our take: Continue to learn, but now in a specific environment, a small company, it's not important to got to a big shot company. It's more important to learn what makes a small business a great business. Simple things like: love for what you do, dream with great things when there is to little to be seen. Also, in a small company, you're not one of many workers, you are one of the few workers that company has. That means you'll have to work a lot and in different tasks. That's great for learning and for development, that's major when you are younger and needing to grow. "You have to think very clearly, whether you want to work for yourself, if you really want to be an entrepreneur." Our take: By this time, you have gained the necessary experience, you now the necessary workload needed to make a business work. So, you are ready to decide if you want to be an entrepreneur or not. First you must walk, than you can decide if you are able to run, and if you do, go at it with all your heart and determination. "You have to do all the things that you are good at. Don’t try to jump into the new area, it’s too late. You may be successful, but the rate of dying is too big. So 40 and 50, think about how you can focus on things that you are good at." Our take: No time for experiences. You are good at one particular area, believe in you, continue to work on it. It's all about that extra push, one more time at stronger and harder, with the necessary focus to make it work. "Work for the young people. Because young people can do better than you. So rely on them, invest on them, and making sure they’re good." Our take: Time to be a mentor, you have been a great achiever, you have an extreme know-how, but it's time to pass that knowledge to the now, more capable and younger people. Use your wisdom to help young people become great also, so you can continue to prosper in business. "Spend time for yourself. On the beach, sunshine, it’s too late for you to change, normally." Our take: Time to retreat, if you did what you supposed to, you can comfortably retire and enjoy what you have earned. "Make enough mistakes. Don’t worry!